Businesses need to take cybersecurity seriously, experts warn. 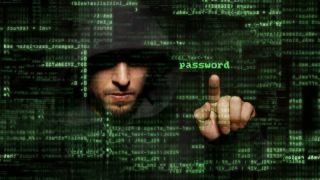 The amount of cyberattacks businesses in the UK are facing has more than doubled in the first three months of this year, compared to the same period last year. This is according to new figures from Beaming, which says it had recorded 119,659 internet-borne cyberattacks, on average, per company, for the first three months of the year. That’s basically one cyberattack a minute, and more than double than in the same period last year, when 53,981 attacks were recorded (on average, per company). Beaming says almost half a million of unique IP addresses were used to conduct these attacks, with more than 50,000 originating from China. Brazil and Russia were also mentioned, but Beaming placed extra emphasis on Egypt, where the number of IP addresses used for attacks increased three times. Most popular targets were remotely-controlled IoT applications and file sharing services. “Cyber attacks continue to be a clear and present danger to UK businesses and the IT infrastructure they rely on,” commented Sonia Blizzard, managing director of Beaming. She added that businesses can do ‘plenty’ at a network level to minimise the threat of online attacks, but also added that businesses need to take cybersecurity ‘seriously’, by educating employees and setting up security measures.